Regent Seven Seas Cruises, which is based in Miami, was formed in 1992 through the merger of two one-ship lines -- Radisson Cruises and Seven Seas Cruises. The former contributed the Radisson Diamond, the industry's only twin-hulled ship, and the latter operated Song of Flower. Both have been retired from the fleet. 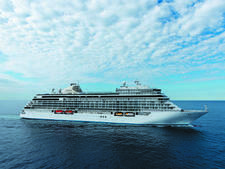 Since the late 1990s, the line has grown steadily, adding Seven Seas Navigator in 1999 and Seven Seas Mariner, the world's first all-suite, all-balcony ship, in 2001 and the Seven Seas Explorer which was launched in October of 2015. 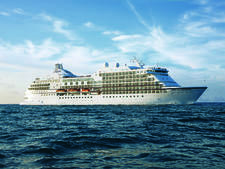 Seven Seas Voyager, the line's second all-suite, all-balcony ship, entered service in April 2003. 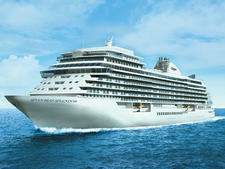 In 2006, Radisson Seven Seas Cruises underwent another name change to become Regent Seven Seas Cruises. Upcoming in the year 2020, the fleet will undergo an extensive refurbishment program. During this time, Minneapolis-based Carlson Hospitality Worldwide owned the cruise line. 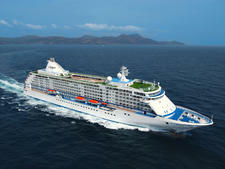 But in late fall 2007, New York-based Apollo Management, L.P., signed an agreement to acquire Regent Seven Seas Cruises. The deal closed in winter 2008. At the time, Prestige Cruise Holdings was created to manage the cruise portion of Apollo Management's portfolio. In November 2014, Norwegian Cruise Line acquired Prestige, which now falls under the broader Norwegian Cruise Line Holdings parent brand. Great effort has gone into providing consistency across the fleet. The ships have received upgrades that included the addition of wireless capabilities (and improved computer connections though it's still slower than it should be). Cabins have flat-screen TVs with on-demand movies available for free, and higher-end suites have iPod music systems (with Bose speakers) and free-to-borrow iPads. Cell phone access is available, even at sea. Some facets of the Regent Seven Seas experience are quite traditional (passengers typically dress elegantly for dinner and entertainment tends toward lectures, trivia and Broadway-esque performances). Yet the line keeps up with modern trends and interests, including a partnership with the Canyon Ranch Spa, a Culinary Arts Kitchen on Explorer and culinary- and wellness-themed tours in certain destinations. Each ship has multiple open-seating restaurants. All ships in the fleet feature a main restaurant venue Compass Rose, Prime 7 steakhouse and La Veranda buffet, which transforms into the Italian-influenced Sette Mari at night. 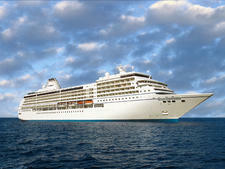 All ships except Navigator feature Chartreuse, a French restaurant, and Explorer adds Pan-Asian restaurant Pacific Rim. Food and service are superb, and choice is plentiful. House wines are poured at lunch and dinner, and other liquor-based drinks, with premium spirits, are poured on a complimentary basis throughout the ship. Regent Seven Seas offers spacious, all-suite accommodations, and all ships except Navigator offer all-balcony cabins, as well. The Regent Suite on Explorer is possibly the most lavish at sea with a horse-hair mattress (worth $90,000) on the master bed and an in-cabin spa offering unlimited, private spa treatments. While the age range encompasses couples from the mid-30s to 80s, Regent Seven Seas Cruises primarily attracts professional and retired couples, aged 60-plus, who are affluent and seasoned travelers. The line, which traditionally has marketed to North Americans, also courts travelers from other parts of the world, including the U.K., Spain, Japan, France, Portugal and Brazil. The itinerary of the ship tends to drive the age and activity levels of individual sailings, so seven-night Mediterranean voyages attract a slightly younger, more active demographic than do lengthier cruises, which are more appealing to the line's core audience. More than 50 percent of passengers are Regent repeaters on 14-plus night cruises. Historically, Regent Seven Seas Cruises had the distinction of having ships with vastly differing architecture and style while still maintaining a consistency in programs and services, but the fleet has become more homogenized. Seven Seas Navigator, Seven Seas Mariner and Seven Seas Voyager offer slightly different interpretations of a floating luxury resort, but the emphasis is on "slightly." Seven Seas Explorer, which joined the fleet in 2016, took glamor to the extreme, and Regent Seven Seas calls it the most luxurious ship at sea. Its highest-level suite, the Regent Suite, includes in-cabin spa treatments and a personal driver in every port for private excursions. A sister ship to Explorer is scheduled to debut in 2020.